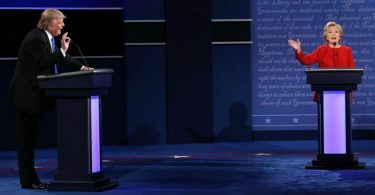 It should be very fulfilling and reassuring to all Americans that Donald Trump is going to surround himself with people who understand what it takes to win and hopefully put forward this idea of “peace through strength” that if we are strong, like Ronald Reagan said about a heavyweight champion, “Nobody insults the heavyweight champion.” Instead, President Obama has made us a weakling on the world stage. 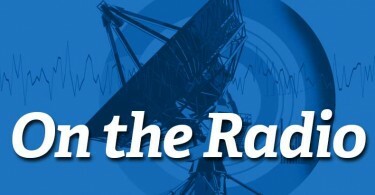 I joined Relevant Radio with host Sheila Liaugminas to discuss the appointments of former military officers to the Trump administration. Some media, of course, there has been a lot of spin about the president-elect himself, about some of the names he threw out during the campaign before the election for Supreme Court justices, if he were to be elected, and so on, and, certainly, about his appointees. One by one, as he made them for different cabinet posts. Media have opined on any number of those, to any degree and especially some of the more controversial than others. One of the things some of the media have said is, “Wow, he’s a little top heavy on the generals, isn’t he, or military leaders and why so many military leaders?” I’ve heard a lot of roundtables and panels on this in the media over the past several weeks and is that a good thing? Some media pundits say, “No.” They don’t like that presidents have so much military might, if you will, in the cabinet of soon-to-be President Donald Trump. Joining me now is a guest who has written a very good article about that and why she believes the presence of these military leaders and veterans is a sign of strength and that guest is Gayle Trotter. An attorney and the CEO of the American Womens Alliance, whose mission is to advance issues of concern to American women who love liberty and hate tyranny. I love that. 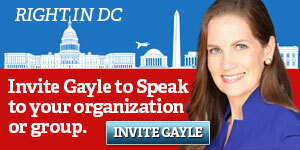 Gayle, welcome to the program. Thanks for being here. Great to be with you, Sheila. It’s been forever. You were here ages ago, Gayle. It’s been too long. We’ve got to talk. There is an awful lot that we want to catch up on because your site, gayletrotter.com, which I’ve linked on the show page, has a lot here, but this article really caught my attention. I want to talk about. So the headline of this article you wrote, just this week, is “Trump’s reliance on James Mattis, military veterans, is a sign of strength.” Why so, Gayle? That’s right. You’ve teed it up really well because you talked about how his critics are saying that having so many veterans in his cabinet and top administrative positions is a bad choice on his part, but those same critics were also accusing him of not having military experience himself. That he never served in the military and, yet, when Donald Trump decides to select these men to be in these positions, these same critics lambast him for it. The truth is: think about the experience that these individuals bring to the Trump administration. They love their country. They are so patriotic, and they have been able to cultivate their leadership skills through the military. The military helps people from enlisted ranks all the way up to generals cultivate these leadership skills. They have to exhibit critical thinking skills during high-pressure situations in combat that none of us would be able to relate to, and these are people that can bring these skills to an administration that has to come to the point of being able to make up for the last eight years of our military and our national defense being sidelined by the Obama Administration. Then you say this, “Those who are unfamiliar with the military worry about veterans serving in civilian leadership positions, but that’s misplaced.” Gayle, this is so important for people who don’t understand the military well and those of us who do, this is such a good important point: “Combat veterans, having experienced the horror of war, are less likely to send Americans unnecessarily into harm’s way. They also understand the importance of having all military resources needed to win.” But before we even get into that, back up to the grace and professionalism. We know military and especially officer level, high officer level, military, in general, are so disciplined, first of all. Second of all, they have such a sense of honor and duty and valor. That’s a word a lot of people don’t even know anymore. Grace. Dignity. To say that General Mattis handled himself with grace and professionalism, that right there, those are characteristics of all of these veterans in the military services. Right. I loved that word that you used: Valor. That is such an excellent word to describe the character of these men that Donald Trump has selected for his cabinet and top administrative positions and as you said, these men, some people would criticize as saying that they have this lust for war, but the truth is just the opposite. They don’t want a single sailor, marine, soldier, anyone to go in this situation without resources, without a clear American interest for going into that mission. They want to have a clear mission, they want to have the resources to accomplish the mission, and they want to win. They do not ever want to put people in these positions where they have unspeakable things happen to them. They want to protect their fellow brothers and sisters in the military. So they, of all people, understand the sacrifice on them and on military families for the things that we ask the military to do. Excellent point you make here and in the article. You say, “Their career biographies record national security knowhow, distinguished military service.” That’s important, distinguished military service. These are going to be public servants. “Years of sacrifice, duty, and a special love for the United States.” Patriotism is a word that’s, for years now, gone out of style and vogue and you shouldn’t use it and nationalism and all that. It’s like political people like to use the word reset. So this is a reset, if you will. It reflects, doesn’t it, Gayle, the whole election. Interestingly, my second half of the show today, my guest is going to talk about how the media could have so spectacularly missed what was happening in this country that delivered this outcome of the election. These cabinet nominees really signal something about this president-elect, soon to be president, and how he sees America’s proper size and role in the world. Right. 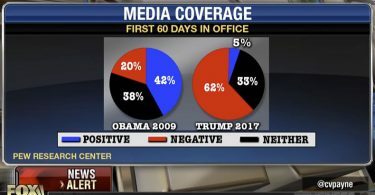 When you contrast that with presidents of the past, Lyndon Johnson, who wanted to personally decide on bombing targets; Jimmy Carter, who would micromanage everything coming out of the White House while he let our military decline; and, clearly, President Obama, who decided to remove our troops from Iraq as a strategic end unto itself, without understanding what would fill the vacuum when American troops were removed. Then, of course, we had to send American troops back to Iraq and back to Afghanistan. So I think the contrast should be very fulfilling and reassuring to all Americans that Donald Trump is going to surround himself with people who understand what it takes to win and hopefully put forward this idea of “peace through strength” that if we are strong, like Ronald Reagan said about a heavyweight champion, “Nobody insults the heavyweight champion.” Instead, President Obama has made us a weakling on the world stage. “Peace through strength” is something that has been reflected in the past by other presidents. You take your readers through three appointees. So let’s talk about them briefly, again, back to General Mattis. General James Mattis was nominated for Secretary of Defense. He’s a retired four-star Marine general who led a Marine division to Baghdad during the 2003 invasion of Iraq and more recently to the United States Command Center. John Kelly, nominated for Homeland Security, is a retired four-star Marine general whose own son was killed in combat in Afghanistan. Michael Flynn will serve as National Security Advisor, retired Army lieutenant general and former director of the Defense Intelligence Agency. By the way, you say, he has “plain-spoken views on the threat of Islamic militancy.” That right there, Gayle, is a major shift from the current administration of the past eight years. Right. Absolutely. We had the opposite during the Obama Administration where people were purged for having the temerity to call out radical Islamic jihadism and through the people that he’s selecting to fill these important positions, we are going to be prepared. We are not going to ignore what the enemy is who was trying to destroy America, America’s values, America’s ideals, and I think that is an important first step that resonated with the American voters when they decided to elect Donald Trump. When you contrast that with this idea of calling everything extremism, but not trying to understand what is it at the root of this violent behavior that really puts our entire infrastructure of fighting terrorism at a disadvantage. So it is a refreshing approach that I think will really put us back on the path to protect the homeland and to have a new global order. Where hopefully some of the conflagration that we see going on in the Middle East with Christians being pushed out of their territory, their churches being burned, unspeakable things being done to Christians in these areas. Hopefully, we will see a reversal of this with this new administration. You know the critics of these military generals and officers, veterans all, in the cabinet of President Donald Trump, the critics of them seem confused about whether military experiences are a prerequisite or disqualification. That’s just carrying that eight year, at least, long view of our country in vis-à-vis the world, into the next administration and it’s just completely reversing that is what the fact is. In fact, when I had Sebastian Gorka on the program and I brought that up, he also, it’s a two-prong thing. Know yourself, know who you are, and know who your enemy is and America, in these recent years, has been redefined. Coming into office, the outgoing president promised to dramatically transform, totally transform America. So who are we today? “Know yourself,” Sun Tzu said in The Art of War, “and know your enemy.” That’s important. This is a really good article. 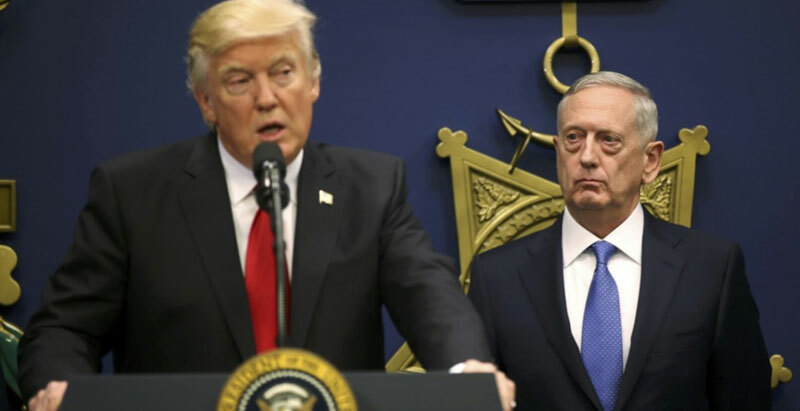 My guest, Gayle Trotter, posted this fine article, “Trump’s reliance on James Mattis, military veterans, is a sign of strength,” and she explains, takes you through it, why. Her website also has several other articles on it. A lot of information she’s got here about healthcare, about Trump’s tax plan, about America to be globally competitive again. 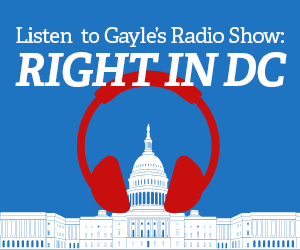 Gayle is a columnist, political analyst, and attorney who regularly appears on TV, Fox News channels, different shows there you’re used to, Media Buzz, contributes to The Hill, The Daily Caller, Townhall. You can find her articles at gayletrotter.com. This is “A Closer Look” at some of Gayle’s writings about the Trump cabinet. We’ll take a closer look at more of that after the break. Don’t go away. Welcome back to “A Closer Look”, I’m Sheila Liaugminas taking a closer look with my guest, Gayle Trotter, a Washington attorney and the CEO of the American Womens Alliance, a writer, and commentator. You’ve probably seen on Fox News and other television networks and you’ve seen her work in print. Taking a look at some President-Elect Donald Trump’s cabinet members and, especially the military veterans. James Mattis, first and foremost, John Kelly, and Michael Flynn, who will serve as the National Security Advisor, their confirmation hearing’s and what we learned about them and other cabinet nominees, what we’ve learned about them in the confirmation hearings versus what the media is saying about them. What a different cabinet this is going to be. So you’ve got the gayletrotter.com and all of the resources she’s got there; I’ve got that posted on the show page today. Both relevantradio.com and on my Facebook page, and if you hit that one, on that landing page for the show, “A Closer Look”, please click share so other people will be able to read this information as well, because, Gayle, we’ve got to go around that so called gatekeeper media sometimes to pass this information on. So what do you think of how the confirmation hearings have been going? What do you think about how they’ve been going and on other specific nominees besides these veterans of the military? Yes, that’s right. I think that’s why people love Donald Trump tweeting because he is able to bypass the mainstream media even on the hearings. I think the hearings are going well. I spoke with top Trump people this week and they said that Donald Trump is so happy with his selections that he feels like the hearings are going very well. You might have noticed that a lot of people criticized him for some of his selections when they’re testifying before Congress. Not necessarily toeing the party line and repeating back exactly what Donald Trump said, my understanding from insiders is that he’s very happy about that. That’s why he’s selected these people. He doesn’t want yes-men. He wants to have people who come in, who are knowledgeable and wise and great at critical thinking and can give him good advice. He is not a black and white thinker. I think when these hearings show that these selections that he has made are not just cookie cutters; they don’t just have a particular party line that they are promoting; but they really are concerned about what’s in the best interest of America, it is reassuring. It really is. It’s interesting how some of them are being grilled extra hard by the Senate confirmation hearing members. Some of the senators there are being particularly tough on some of them and I find some of the lines they’re questioning just so politically oriented or so agenda or ideologically proven. It’s just so bold faced. But on these military veterans, again, Gayle, I know there have been people who are very familiar with the way Donald Trump has handled business and what got him where he’s gotten to be such a success. Also with his Art of the Deal by saying that he reveals in the Art of the Deal, I have not read it, so I’m referring to the people who have said this. But they say that he reveals in there (as he has in interviews) that he knows what he knows and he knows it well. Therefore he’s very successful at what he knows, but he also knows what he doesn’t know and about that, he goes out and finds and surrounds himself by (this has been in the business world) the best minds on those that he needs to learn from. That’s what he’s doing with his cabinet is so goes the thinking on that. That’s right. Of course, when you say that, that reminds me of Donald Rumsfeld’s famous quote about, “We have known knowns, we have known unknowns, and we have unknown unknowns,” and I think that is a mark of a good leader to acknowledge their strengths and understand their weaknesses and that’s why a president has a cabinet. It’s so that he can have a roundtable of people to advise him about areas that no human being, I mean, just think of how huge and complicated the federal government is, let alone trying to understand how to position America on the world stage and promote American interests while also promoting world peace and global stability. So, like you said, he has shown that he has expertise and I think a big thing that American’s really care about, after our national security, is the economy and jobs and that crosses all racial lines, all socioeconomic lines. People want to have a robust and thriving economy so that they’re able to provide for their families and that’s something that I believe President Donald Trump has the ability and the commitment to make happen for all Americans. Well, he certainly has the business knowhow. A lot of Rust Belt America and other states across the country that were overlooked or completely ignored by the big media. (I don’t call them mainstream, Gayle, because I don’t believe they are and, in fact, this election proved just that.) Those people voted for him for jobs because they really believe that he will deliver on that and on tax breaks and on the economy and so forth. You’ve written about that. You’ve done other radio interviews. In brief, your thoughts on, because you’ve expressed them on your website and on radio before, Trump’s tax plan you think is already starting to take effect and he’s making you say he will make America globally competitive again and is already showing how. How so? What about his tax plan do you think is already starting to take effect? Right. I recommend everybody go read that piece on my website, because I really dig into it. To briefly explain it, the idea that America has the highest corporate tax rate of the 35 developed countries of the Organization of Economic Development and Cooperation. Those are the top countries that you would think of when you think of the most successful countries in the world. We have the highest tax rate. So we have a 35 percent tax rate and when we have American companies that see that they can transfer to Ireland, for example, which has a very similar culture to ours, but has a 12 percent tax rate. Then that incentivizes those companies to keep the money off shore so that it’s not able to be invested in innovation, jobs, and facility development in the United States. I make the point in this piece that before he’s even taken the Oath of Office, Donald Trump has communicated to American businesses that this is going to change. We’re not going to have the most oppressive tax system in the world. He wants to lower it down to 15 percent, which would still not be the lowest of the 35 countries, but it would put us in the state where we could have a lot of this company money that’s held overseas brought back into the United States for investment in the American people. For example, Ford, they were going to build a plant down in Mexico. Now they see that Donald Trump has been elected. He’s going to change a lot of these regulations. He’s going to make the tax code fairer and enable companies like Ford to actually be more profitable if they stay in the United States. So he’s already getting results before he’s even set foot in the White House. He will be tomorrow at noon. Gayle Trotter, thank you so much for your insights, for bringing those in here to discuss. The military generals on his cabinet and hopefully some of these appointees will be finally confirmed when he takes office. Gayle Trotter, we’ll talk again soon. Thank you.